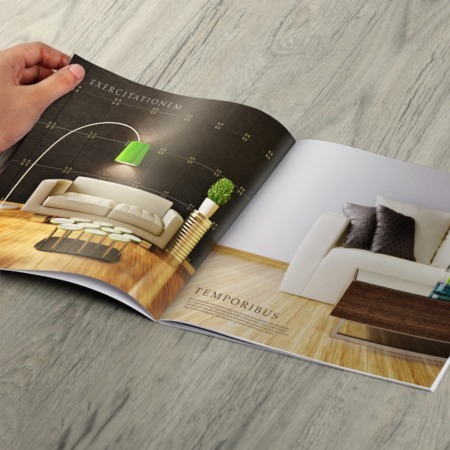 Use catalogs to increase your revenue. Custom sizes up to 12" x 12"
We have two types of color catalog printing — short-run catalogs for small-quantity requirements and bulk catalogs for large-quantity orders which are perfect for small to medium sized businesses. 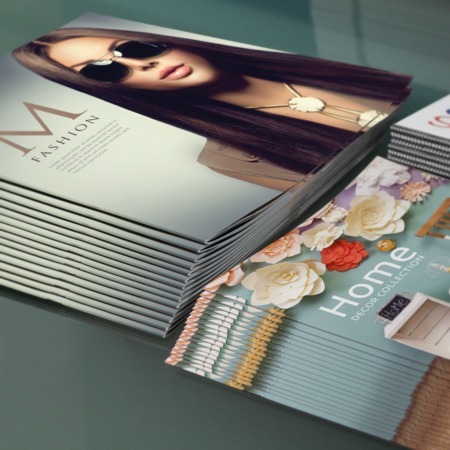 With bulk catalog printing, every catalog would be consistent in quality, whether they’re gift catalogs, clothing catalogs, or whatever kind they may be. Our short-run printing is great for personal use as the order quantity ranges between 25 to 150 pieces. 5.5"x8.5" - Tall, slim-sized catalogs. Best used for describing a few products with enough space for short descriptions. Perfect examples are for watches and jewelry catalogs. 6"x6" to 6"x9" - Square or rectangular-shaped catalogs. Great for describing low-volume products/services with minimal features. 8.5"x11" to 9"x12" - Most commom catalog size. Best for featuring clothing and apparels. You can even try making your own catalog design with custom sizes, use our free catalog templates, or have our team review your file for technical errors. For custom catalog printing, don't hesitate to contact us or check our blog: 7 Amazing Full-Color Catalog Design Ideas for design inspirations. Our free catalog templates so setting up your files is easy. Please don’t hesitate to call if you have questions. Ever wonder what turnaround time meant? Turnaround time refers to the number of days it would take to print your catalogs and have them ready for shipping. This does not include the shipping time because this refers to how long your catalogs will get from point A (us) to point B (you). Turnaround time would start once you approved your proof and placed your payment.